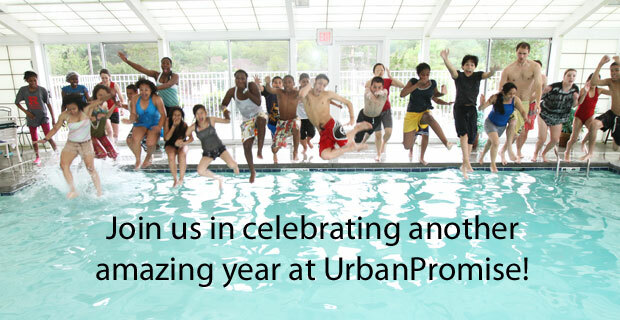 Celebrate another amazing year at UrbanPromise! As I reflect on another great year at UrbanPromise I wanted to share with you a few accomplishments and milestones reached these past 12 months. Thanks to you and God's goodness, UrbanPromise has grown, our youth have succeeded, and our families have been blessed through your giving. • 600 children, teenagers, and college students engaged in UP’s after school programs, experiential learning, boat building, StreetLeader job training, schools, and summer camps. 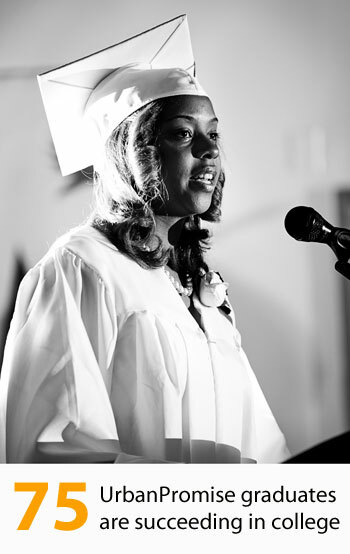 • 4 UrbanPromise alumni returned to UrbanPromise after graduating from college to play significant roles in our ministry. • 110 individuals from the Camden area volunteered weekly in one of UP's programs. They helped our ministry run effectively and, perhaps more importantly, blessed youth and staff through kindness, support, and friendships. • 50 college students from all over the world served as interns and learned, lived in community, grew, and gave selflessly through their work in Camden. • 2 resiliency/counseling groups were started in our schools by professional volunteers: one for children who have lost a loved one to death; the other for teen girls facing issues of loss and abandonment. • 0 days when we did not experience God at work through the life of our ministry and lives of our young people. Whether you gave your time, resources, prayers, or talents, we thank you for embracing and supporting UrbanPromise Camden in 2011. Forty-eight homicides so far this year, aggravated assault is up 45-percent! This month Camden was named the second most dangerous city in the United States. These statistics send a clear message that something needs to change. Vulnerable children must get off the streets between 3:00-6:00 p.m.
That's why I am excited about Albert Vega's vision for a new UrbanPromise AfterSchool Program in North Camden. Albert grew up in North Camden, attended our AfterSchool Program, worked as a teen leader and graduated from Eastern University on an UrbanPromise scholarship. He embodies the UrbanPromise vision. This past September Albert and his team created a safe place for North Camden's children by opening Camp Joy in an old church building. Even with sparse supplies, no vehicle and a borrowed classroom, the team is establishing a refuge for neighborhood kids. What Albert's team lacks in provisions, they make up for in passion and vision. 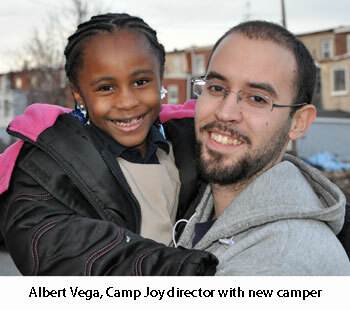 At this year's end, I need you to follow Albert's lead and do something special for the children of Camden. I need you to buy a day of peace for the children at Camp Joy. "How does one buy a day of peace?" you ask. It's simple. Each day a child or teen enters a place of peace-a sacred place that provides safety from bullies, gangs, and peer pressure-at one of UrbanPromise's programs. I need to provide 365 days of peace to 30 children who attend Camp Joy. 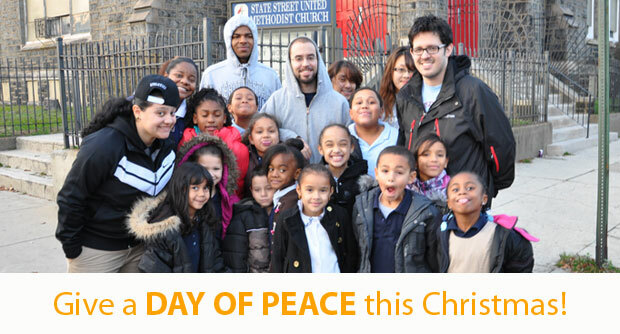 Here's what it costs us: $1 to offer a day of peace for one child in Albert's after school program. Make a gift of $30 and provide a month of peace. Or perhaps you can provide two months for $60-or maybe an entire year for $360. 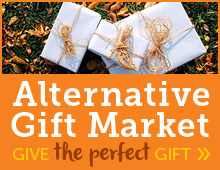 And here's the best part, we have a generous donor that is offering a dollar-for-dollar match through December 31, 2011. 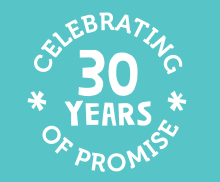 You give a dollar and UrbanPromise receives two dollars! As we sing “Peace on Earth” this Christmas season, let’s remember that we can honor the Prince of Peace—Jesus Christ—by creating peace for Camden youth year-round. We did it! Amazing! Hundreds of gifts were delivered in the last week because of your generous, heart-warming response to our Christmas delivery appeal. The incredible response from our UrbanPromise supporters allowed our vans to be fueled, gifts to be wrapped, and deliveries to be made. I wish I could share all the notes, the phone calls, the hugs, the tears and the smiles our staff have received from grateful families. Here is one short, powerful note from an appreciative mother. This is just one of hundreds of stories. I hope your Christmas was as have joy-filled, peaceful and wonderful as ours. 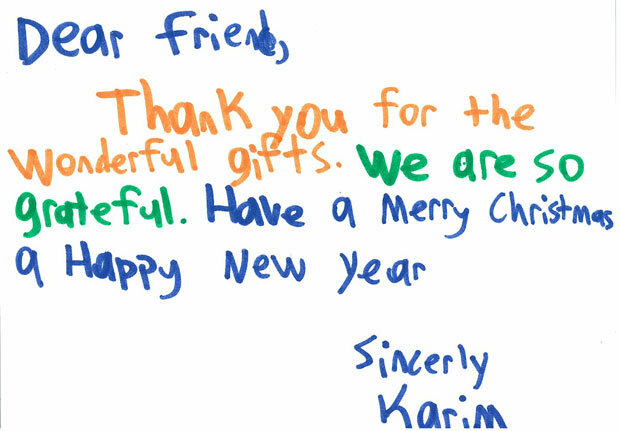 From all the UrbanPromise staff, volunteers and children. 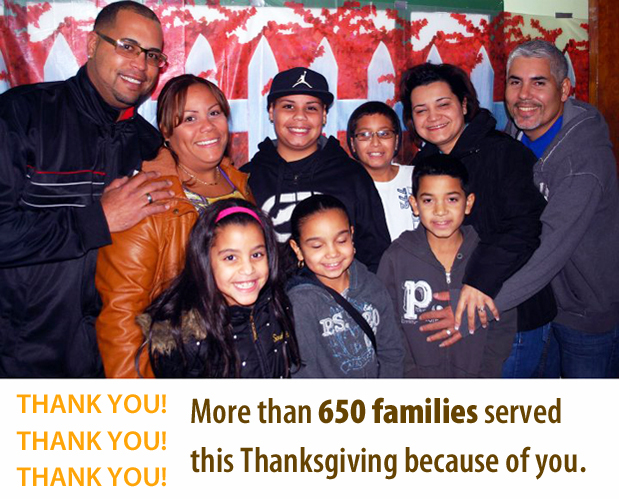 More than 650 families served this Thanksgiving! Thank you for your generosity this Thanksgiving! Because you and many others gave to UrbanPromise's Thanksgiving dinners, more than 650 after school program families received holiday feasts this past month. There was enough turkey, mashed potatoes, and pie for all who came. Children unveiled dance and vocal performances they'd been practicing and blessed their families and all in attendance with their holiday acts. UrbanPromise Children's Ministry staff worked tirelessly to host meals on the Friday, Saturday, and Monday evenings before Thanksgiving. And the best part of the meals? Seeing the happiness and fellowship enjoyed among guests. Families who were otherwise strangers shared a meal together--black, white, Asian, and Latino families, from babies to senior citizens, broke bread (and ate turkey) at the same table. In addition to these three dinners, UrbanPromise sent home more than 100 turkeys and sides dishes to families in need. I was so glad to see you at the Thanksgiving dinner. You didn't know what I was going through and that I didn't want be there, but my daughter begged me to come because we attend every year. I was really feeling down because of our situation. One reason is that we didn't have Thanksgiving preparations of our own. Through God's grace and mercy we received a turkey basket at the dinner, so it was meant for us to be there. God already knew what blessing He had in store for us to receive." I hope you experience similar blessings this Advent season.